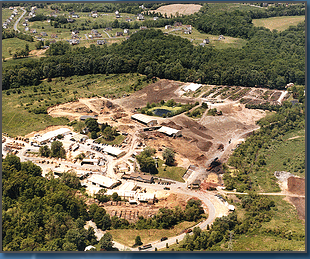 In the 1930's, Edward F. Stanfield, Sr. had a 40 cow dairy farm known as Fieldstone Farm in Randallstown, MD. Around 1950, the name was changed to E.F. Stanfield and Sons, when a partnership was formed with his sons Edward F. Stanfield, Jr. and Richard R. Stanfield. The farm was later moved to its present location and in 1959 incorporated with the name Edrich Farms, Inc. The new name combined the names of both sons, EDward and RICHard. Also during this time, a local lumber mill moved to a part of the farm on Old Court Road. This was eventually purchased by Edrich Farms and became Edrich Lumber, Inc. in April 1962. Richard began the management of the lumber mill and Edward continued the management of the farm. Over the next few years, the Stanfields were able to buy adjacent farm lands that increased the Edrich properties to approximately 750 acres. 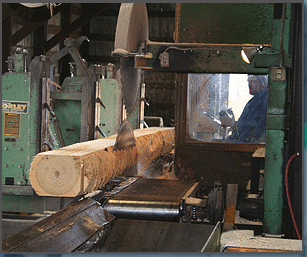 Edrich Lumber has been manufacturing logs into quality hardwood lumber and other products since 1962. 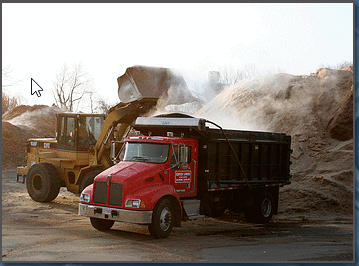 It is the largest lumber mill and producer of mulches in Baltimore County, Maryland. Products available are kiln dried hardwood lumber, industrial squares, survey stakes, tree stakes, mulch and chips (both available colored), sawdust, shavings, topsoil, Earthlife and architectural stones. These are available to other wholesalers, government agencies, industrial companies, contractors, landscapers and homeowners.